Congratulations! Your offer has been accepted and you’ve gone under contract on a new home. However in most cases, the sale is still subject to satisfactory results of a variety of inspections prior to its closing. Although inspections are not mandatory, a home inspection is strongly recommended, regardless of whether the home is new construction or over 100 years old. Moreover, some types of loans, such as FHA financing actually require an FHA appraisal/home inspection. Typically other lenders permit buyers to decide if they want to assume the risk involved in the purchase of a new home without the benefit of a home inspection. Opting out of this highly-advised inspection process may prompt your realtor to have you sign a letter stating that you have waived the right to step. A home inspection is exactly as the name states. It is an inspection of the home, typically conducted by a trained and licensed home inspector. His, or her job, is to probe, detect and identify any deficiencies in the current condition of the home. Additionally, inspectors can also recommend areas or systems that would be best evaluated by specialists. These could include roofers, HVAC contractors, electricians, plumbers and/or structural engineers, amongst others. Ultimately, the inspector should provide the client with a detailed and photo-documented report summarizing the discoveries, judgments and recommendations. Any home buyer can then use this report to make informed decisions about their pending purchase. Some buyers presume that the home inspector is guaranteeing future conditions, efficiency or life expectancy of areas investigated. This is not the case. The current condition of the home is the main focus of the analysis. Home inspection reports can be presented in various forms. However, most reports address similar pertinent areas of evaluation. The pre-inspection agreement will be the first document signed by both the inspector and home buyer. This agreement states that the inspector agrees to conduct an inspection for the purpose of discovering major deficiencies in the current condition of the home. It often bullet points all that will be inspected, pointing out that latent and concealed defects are excluded. The agreement will also explain that they are not looking for environmental hazards, such as radon gas, lead-based paint, or airborne hazards. (There are other specialized inspection companies that perform these services). So what should a home inspection provide? First, the home inspector should assess the structural condition of the house and basement (if applicable). The inspector typically checks the soundness of the structure and for the absence or presence of water damage. If there is no basement, the slab, or crawl space will be surveyed. Secondly, the heating and cooling unit/units are assessed. There should be remarks regarding their present condition, age, type and any recommendations for repair or further analysis. Examples could include the necessity for cleaning/maintenance, the presence of moisture on or in the lines and evidence of rust or cracked heat exchangers. The inspector will also report on the plumbing and bathrooms. Water lines, pipes, drains, water heater/heaters, and all areas of the baths (tub, commode, fan, shower, and vanities) will be commented upon. The electrical system including the circuit breaker or fuse box is also reviewed for electrical hazards, service capacity, proper circuits/wiring and conductors as well as outlets and fixtures. In particular, the kitchen will also be scrutinized heavily from the countertops and cabinets, to the sink, dishwasher, range/oven, refrigerator and ventilation which should be tested for functionality and compliance with code regulations. Investigation of the floors, walls, ceilings, stairs, fireplaces, door and windows are also surveyed and reported in the interior section of the report. Lastly, the inspector should enter the attic space checking for moisture, stains, insulation and proper ventilation. The exterior of your new home will also be reviewed in the home inspection. Many times inspectors start on the outside and then do the interior of the property. From ground up to the roof, the inspector examines the condition of everything from the shingles and flashing to the chimney, gutters, and downspouts. Exterior walls coverings and trim (siding, brick, etc. ), porches, garages, and carports are also included in the analysis. Finally, the property or grounds on which the house sits, gets an examination. In this section notation for driveways, walkways, retaining walls, landscaping, fencing, grading, decks, patios, porches and balconies is provided. The most important part of your home inspection analysis report is the summary page(s). These pages will itemize any, and all, findings or remarks regarding deficiencies and defects found by the inspector. Once received, it is fully up to the purchaser to determine what, if anything, to do with this information. If the list is extensive, buyers will often ask the sellers to make repairs at their expense prior to closing or to provide credits. Performing an inspection of this scope is nearly be impossible to accomplish without qualified assistance. 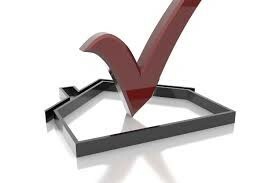 So do not opt out of having a trained and licensed professional thoroughly assess your new home. Spending the money and time upfront for a quality home inspection may well save thousands of dollars later on repairs. To easily avoid this potential calamity, simply perform a home inspection. Indisputably, this decision is of paramount importance. For additional information regarding the sale or purchase of a home, please contact me today for a consultation. I will be happy to answer any questions you may have, and/or help you determine the value of your home.